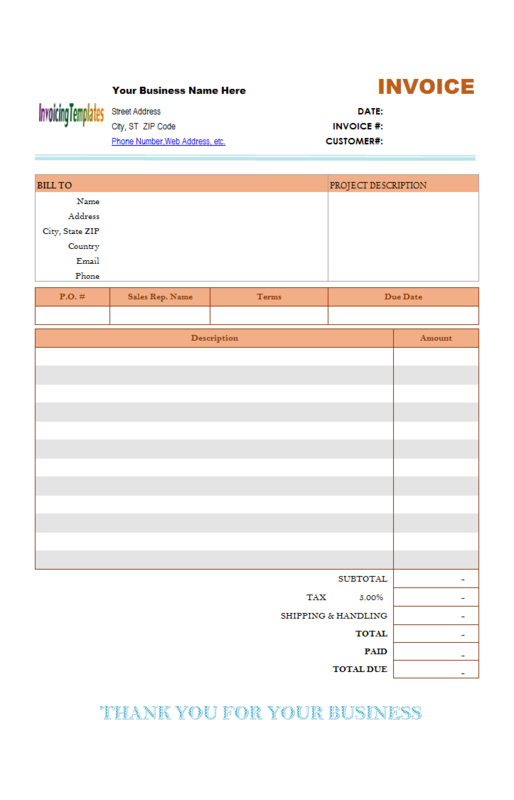 Free Excel Proposal Template is a sub-topic of Excel Invoicing Templates . 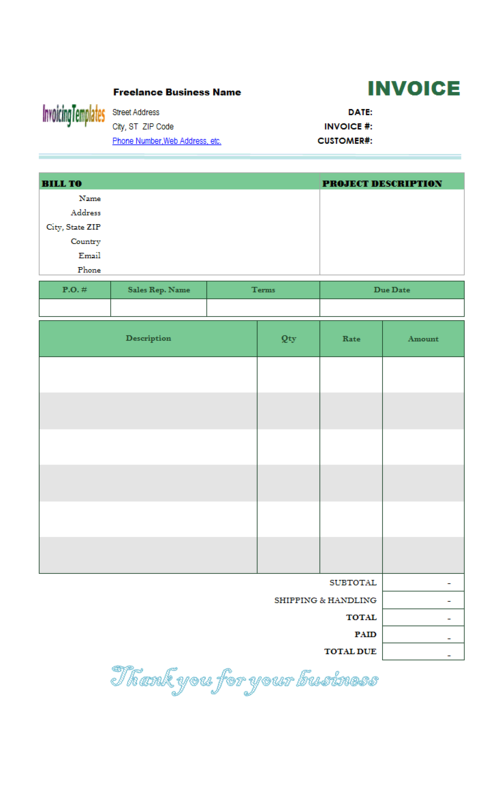 Here are our templates closely related to Free Excel Proposal Template. 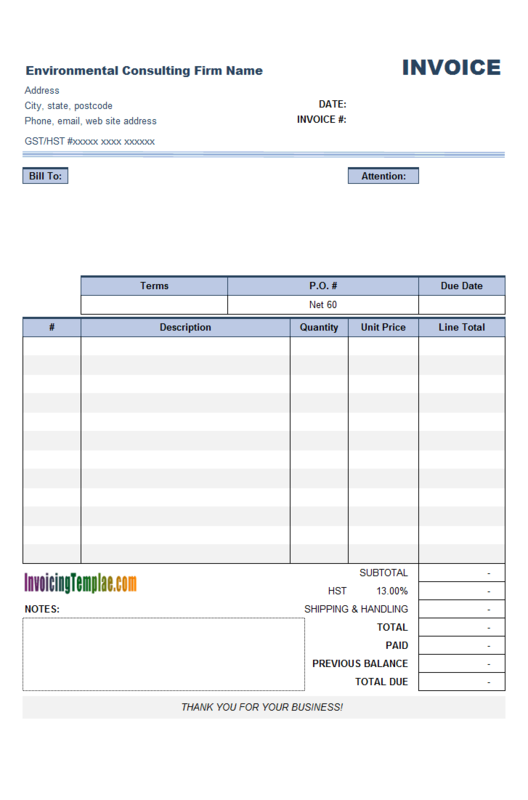 InvoicingTemplate.com offers this as a construction proposal template free download. 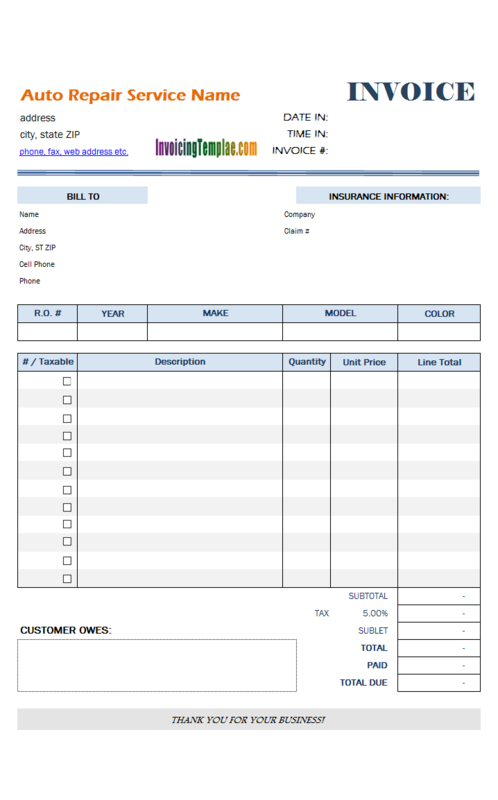 As always, the contractor proposal template also has a Invoice Manager for Excel version, which you can download for free from the download page too. 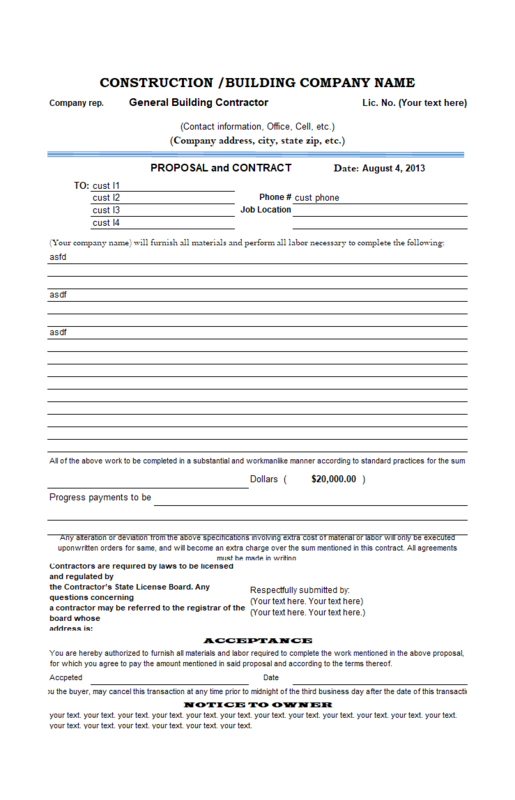 The free construction estimate template or construction contract template has many static text labels on it, which you must replace with your own text before you can create your first construction proposal, contract or estimate. 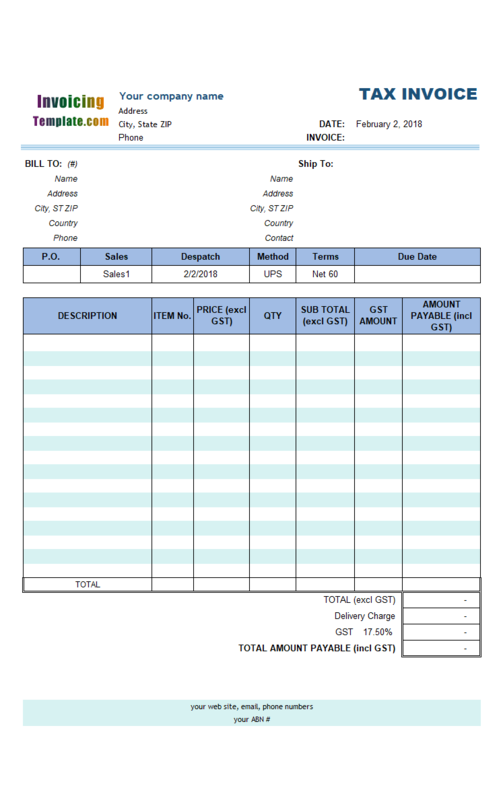 To do this, you first have to unprotect the Invoice worksheet. 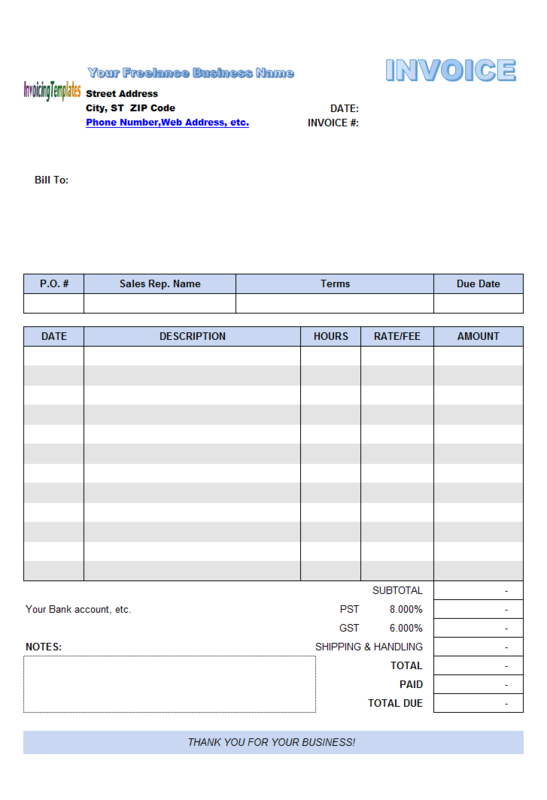 If you are a freelancer and or running a small business, doing writing, designing or as a consultant or carpenter, a professional looking invoicing template helps you get paid fast. 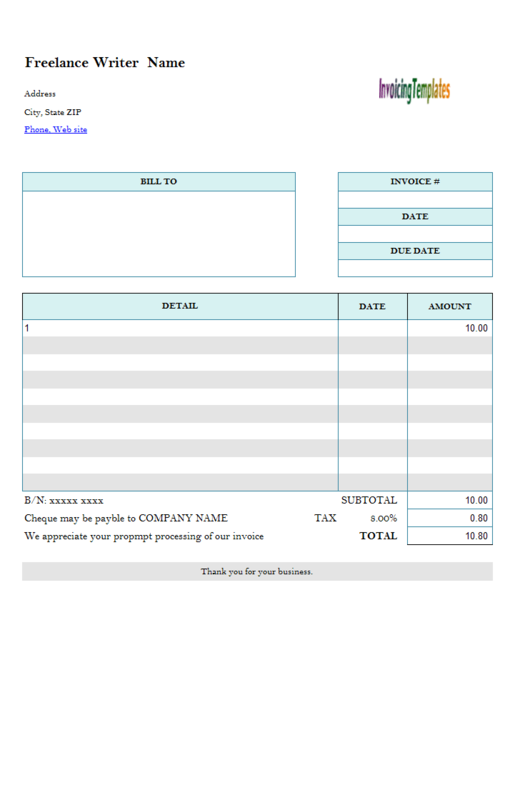 Download Freelance Invoice Template now and start creating invoices in seconds. As a freelancer you know it's important to get paid without delay and a professional invoice could be helpful. 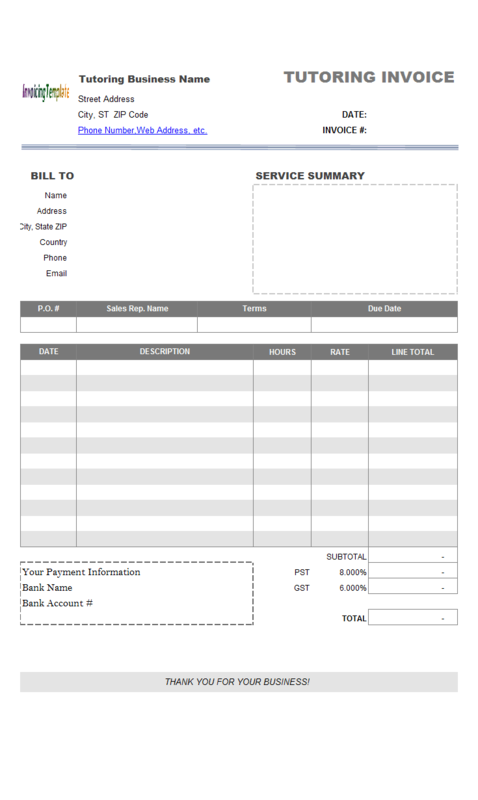 Being professional means your bill contains all the required information that are formatted properly. 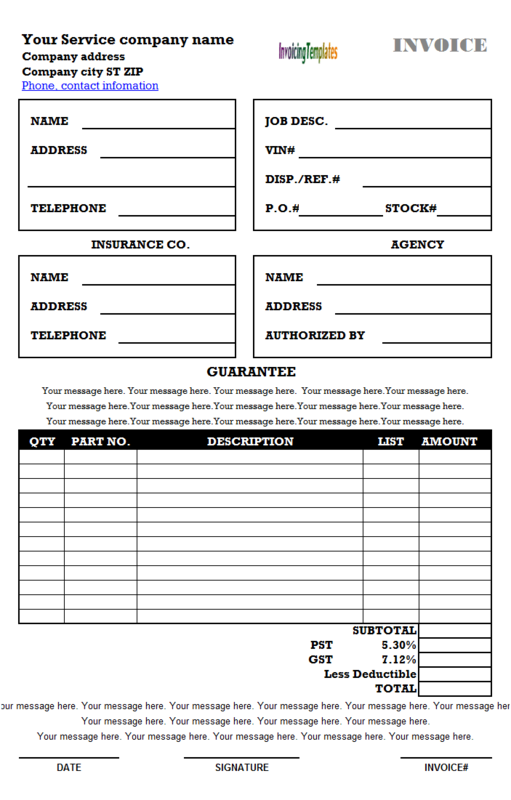 Note that there is a default Logo image on the top of form, which you must replace with your own logo image. To do this, unprotect the Invoice worksheet, and then switch to design mode. 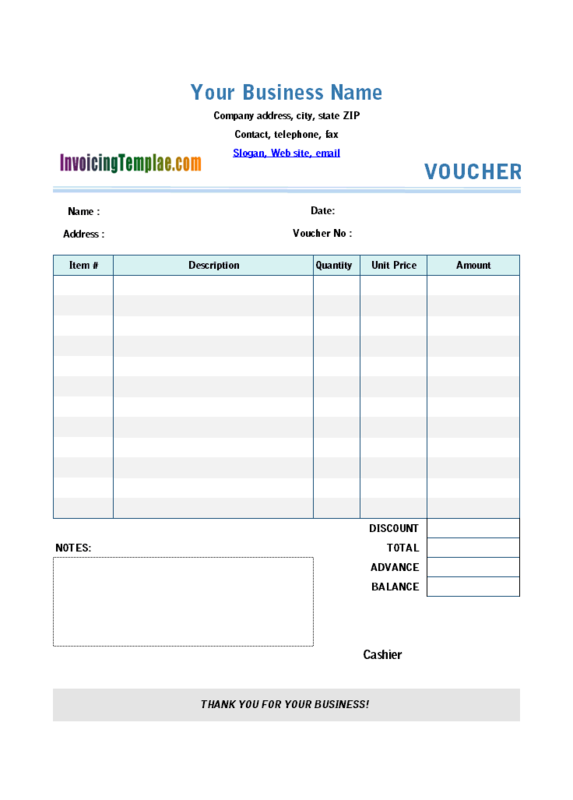 Commercial Invoicing Templates is an easy way for an individual or a corporation to create commercial invoices. 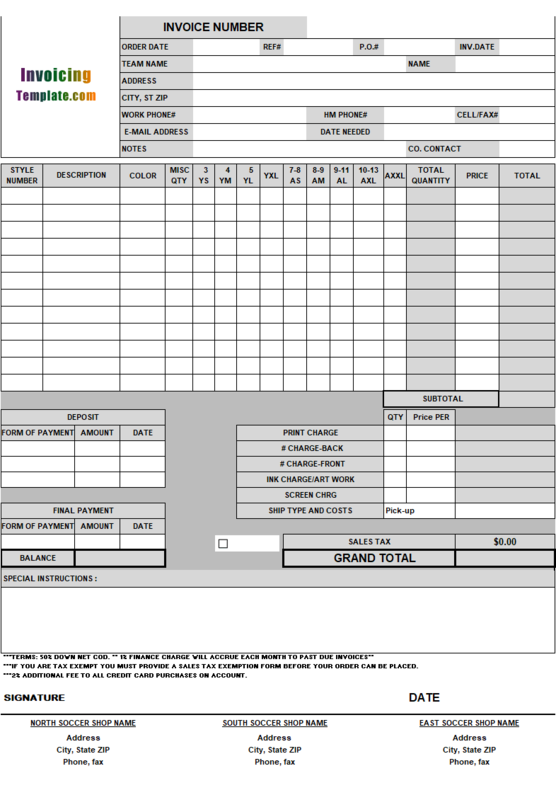 The free commercial invoice form produces professional invoices as good as expensive accounting systems. 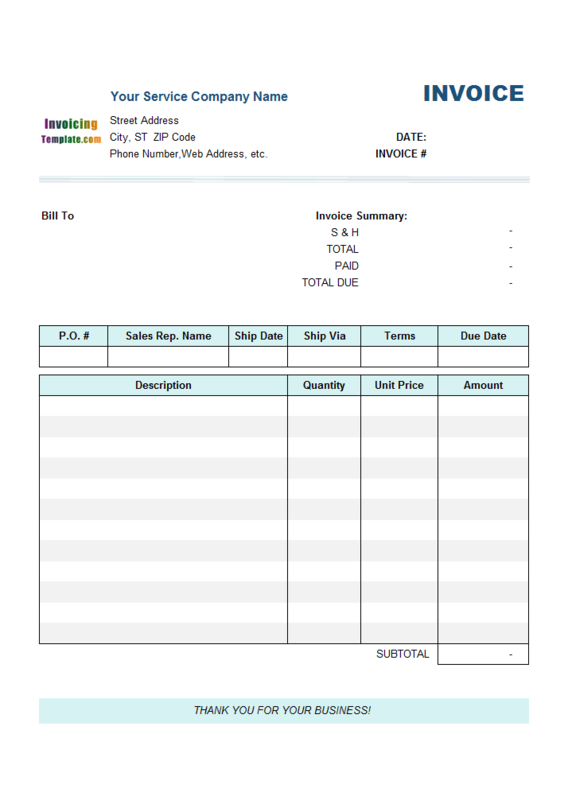 Clicking any cells within the "Bill To" section, a small rectangle button appears underneath the active cell, clicking that button shows a list of all customers you've invoiced for. 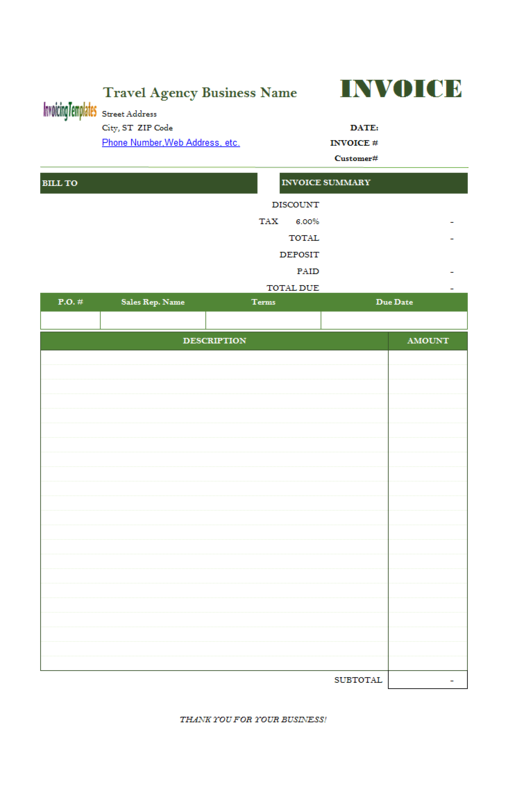 Double-click a customer on the list, Invoice Manager for Excel (namely Uniform Invoice Software) retrieves the customer information form the underlying Microsoft Access database (or SQL Server database, see UIS editions), and populates the cells within the "Bill To" section. This feature is called "on-sheet picker", which you can easily disable or enable using the button on the ribbon tab. 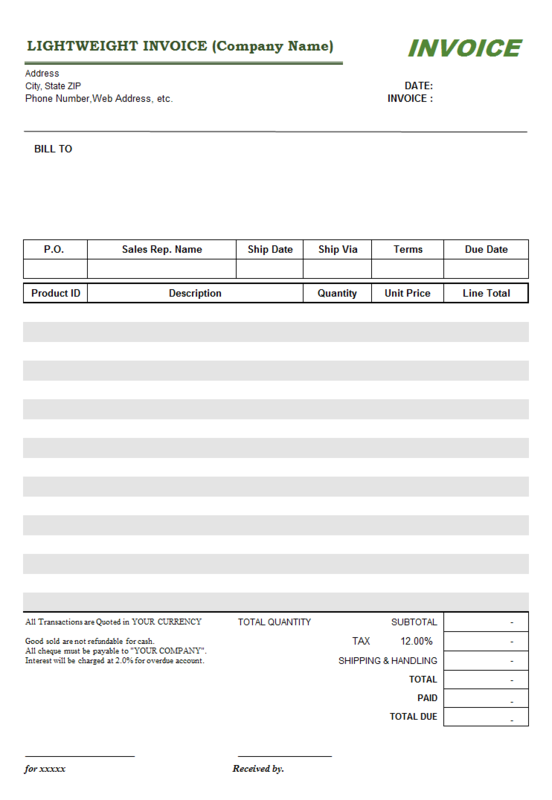 This receipt template could be used for rental / lease security deposit or pawn shop receipt. 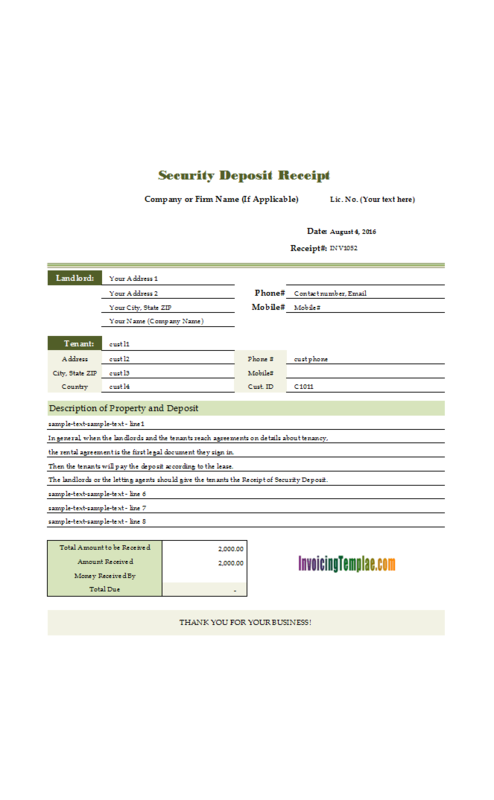 It contains fields for both landlord and tenant, and also 8 lines description of property and deposit. 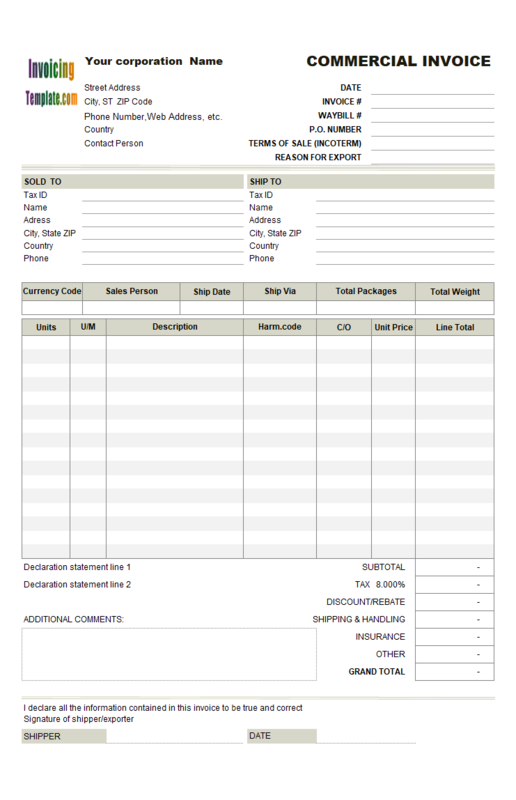 To create a valid tax invoice that meets the requirements from South African Revenue Services (SARS), your invoice template should have formatted in a professional way. 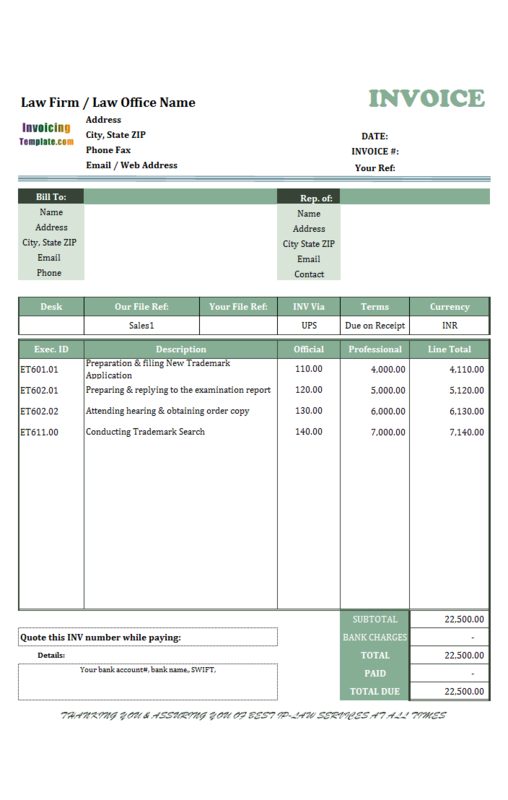 Download South Africa Tax Invoice Template (Sales) for free and start creating professional invoices in minutes. 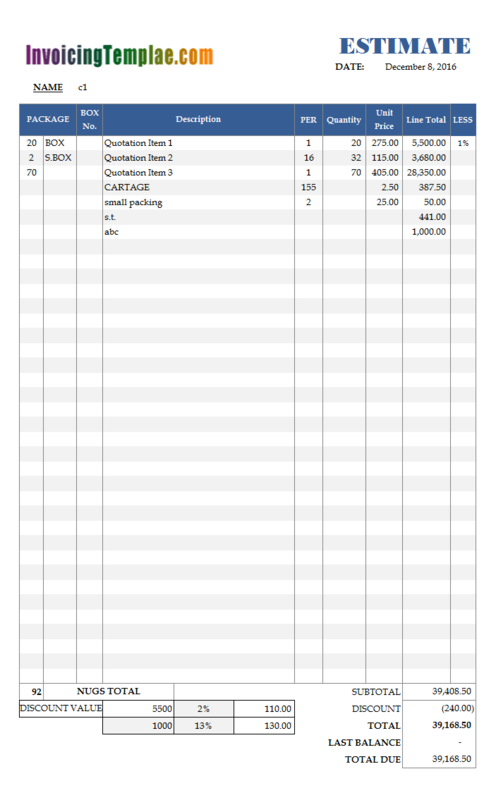 Both the "Description" and "Amount" column on this form are manually editable / fillable. 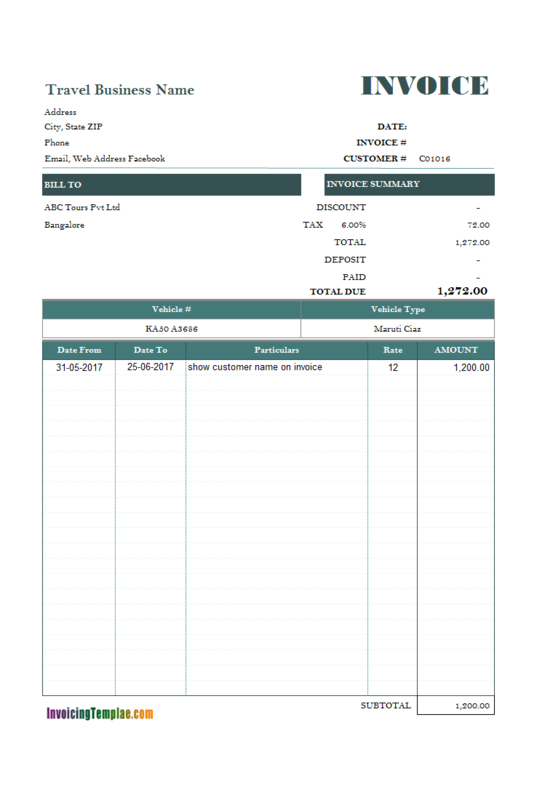 The "Item#" column, which is required by Invoice Manager for Excel (namely Uniform Invoice Software), is moved out of the printable form. 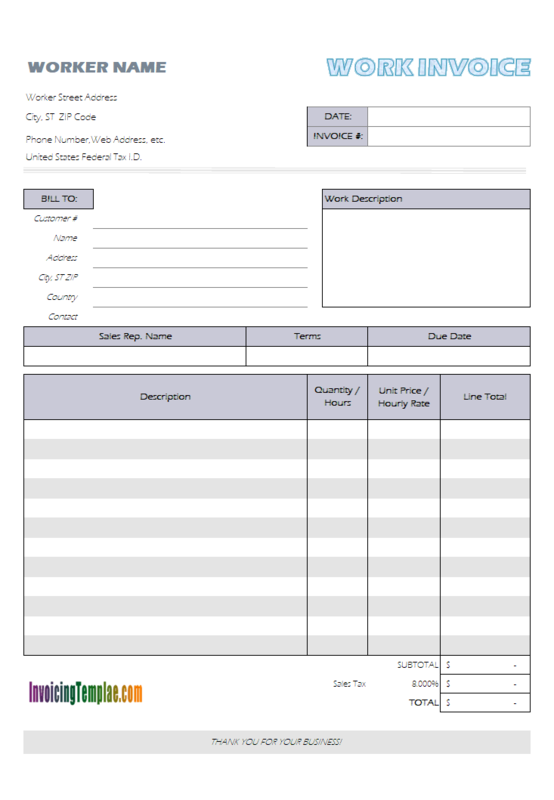 The printable form is the area defined by the "Print_Area" name. In Microsoft Excel spreadsheets, each worksheet could have a print area defined - you it is not defined, the whole used area is printed when you issue the print command; otherwise, only the area identified by "Print_Area" name is printed. 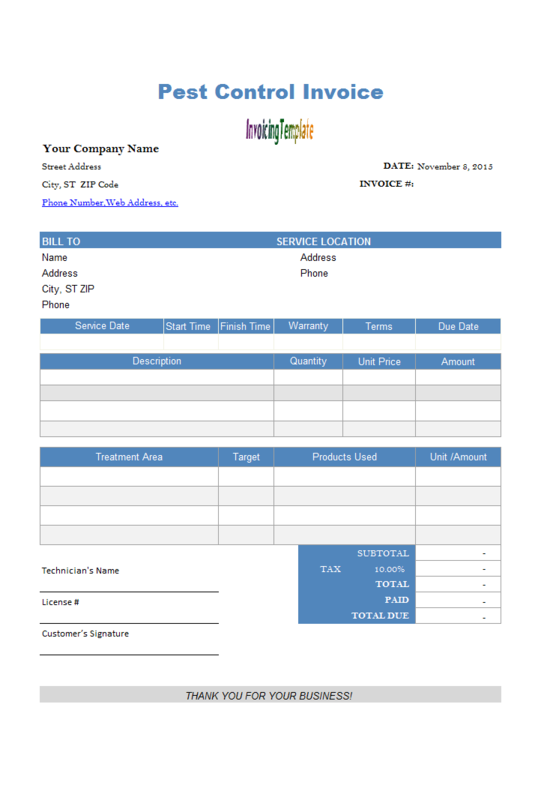 For a variant of this template please also visit Customer Invoice Template. 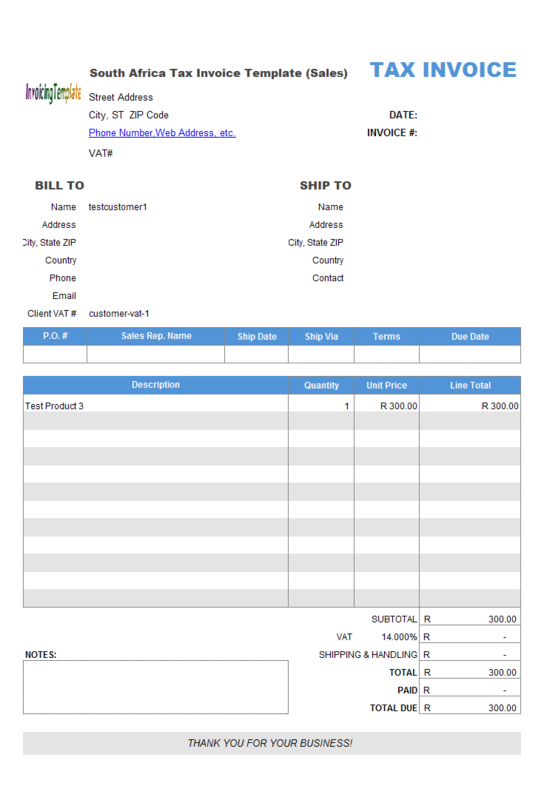 For a sample that has the summary fields moved out of the printable area, visit Sample Invoice Form. 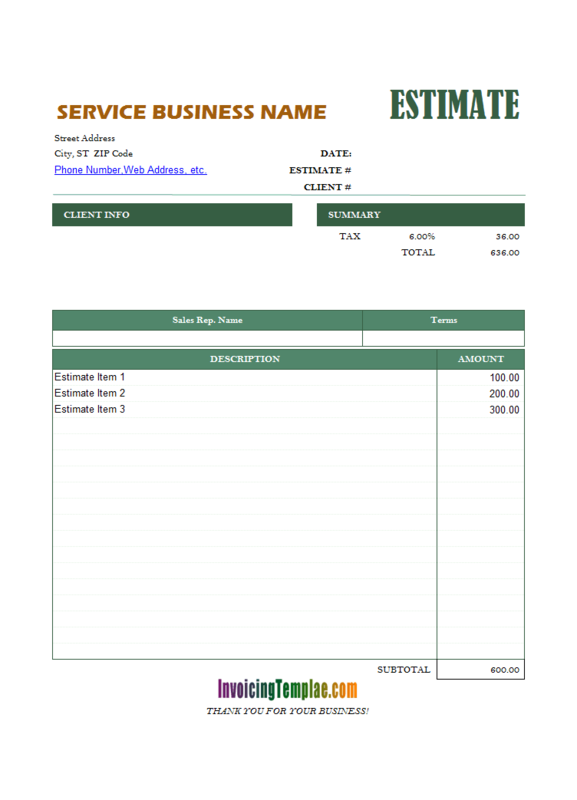 This invoice template, Lightweight Service Billing Form, has one tax set by default. Why standardize the way tax invoices and invoices are set out? As Australian Taxation Office stated, the voluntary standards have been developed in consultation with small business, in response to feedback about their frustration with inconsistent tax invoice and invoice formats. The standards will help achieve greater consistency in the set out of tax invoices and invoices, making it easier for recipients to locate the necessary information for tax purposes. For more information about the specific requirements of a tax invoice, refer to Australian Taxation Office: Valid tax invoices and GST credits (NAT 12358), 'Section 03 - Issuing and obtaining tax invoices' in GST for small business (NAT 3014).